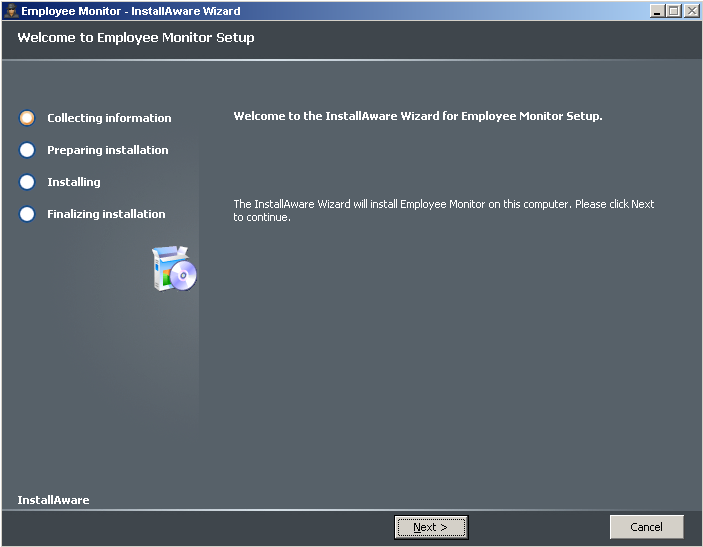 Here are some installation instructions for Logix Employee Monitor. We offer these instructions to make your life easier and your experience with our software pleasant and positive. If you are still experiencing problems, you can always call our support team at support@logix-software.com or visit our support forum at http://www.logix-software.com/forum. 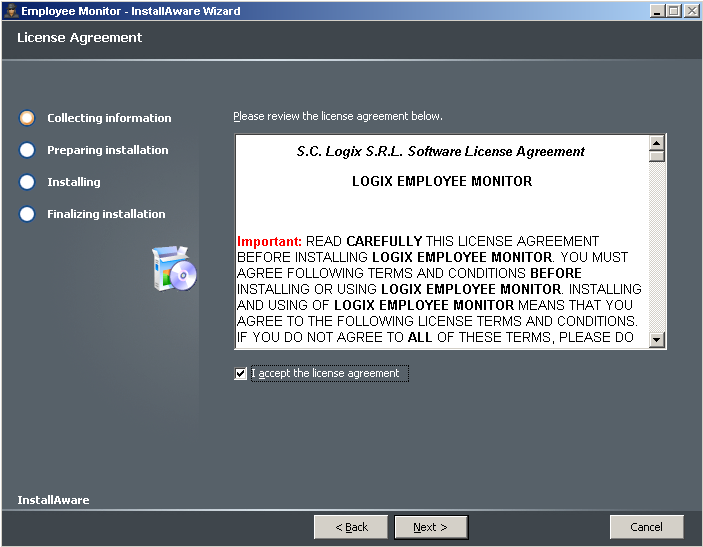 When installing Logix Employee Monitor on Windows XP operating system, please make sure you have administrative rights. If you are unsure if you have the necessary permission, please contact your system administrator or refer to your computer’s user guide before installing. Step 1: Temporarily disable your antivirus application. 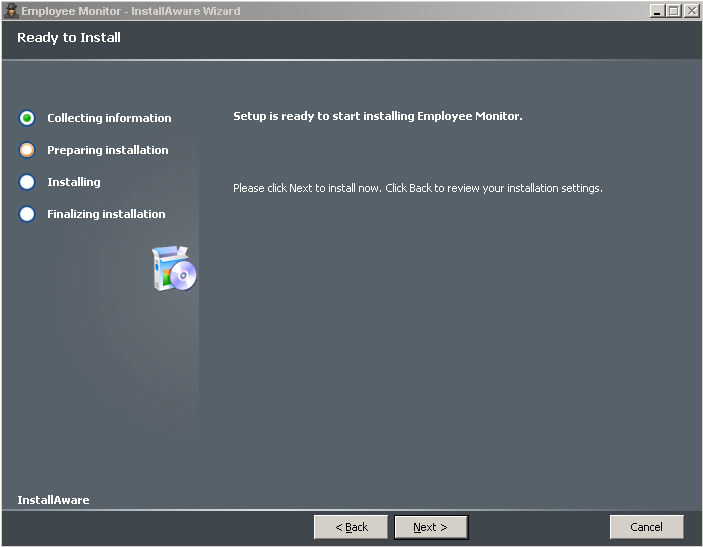 Prior to installing Logix Employee Monitor, ensure that no antivirus or anti-spyware is running, as these often halt the installation of monitoring software due to their questionable characteristics. Step 2: After you download the our software, please run Emp_Mon_Full_Setup.exe if you are a registered customer or Emp_Mon_Trial_Setup.exe if you choosed to test shareware version. 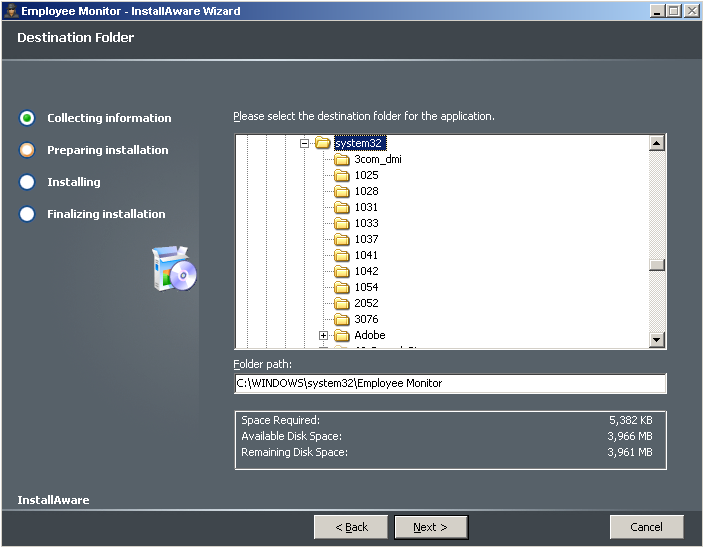 Whether you purchased Logix Employee Monitor at a retail store or downloaded it from the Internet, the program comes with a main installation file to configure it on your computer. Step 5: Fill the fields for “User Name” and “User Company” with correct data. Click “Next”. Step 6: Choose “Complete Setup” as the type of setup you would like to perform. Click ”Next”. 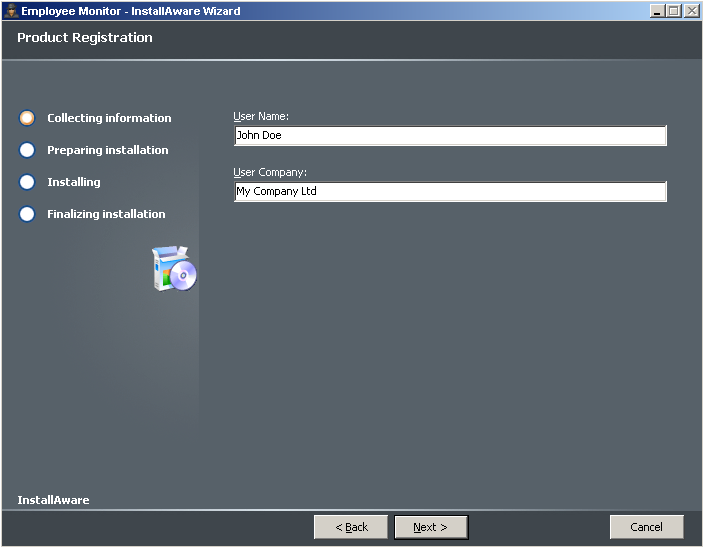 Step 7: Choose a destination path where the monitoring tool will be installed. You may install Logix Employee Monitor in a new directory structure or simply choose an existing location on your local hard drive. Install the application on a location that is rarely visited by users who share the computer in question. Click “Next” to proceed to the following setup screen. Step 8: Input Start Menu group name. Then choose to create shortcuts for all users by enabling the corresponding check box. Click “Next”. 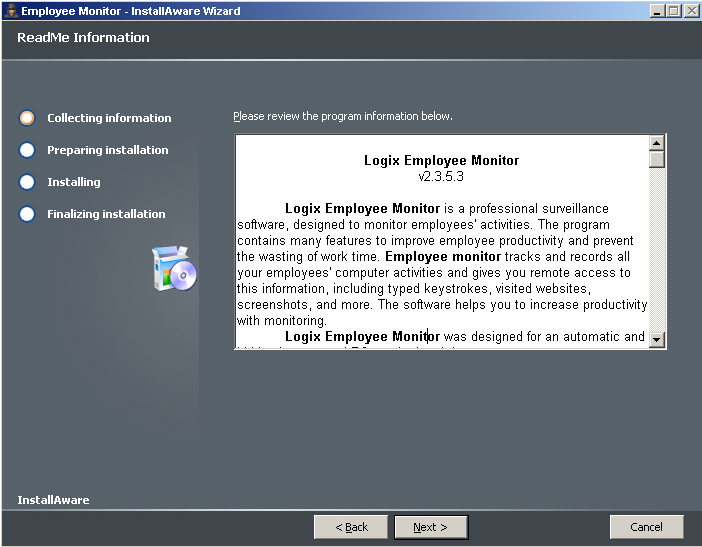 Step 9: You’re almost done… Click “Next” to install Logix Employee Monitor. 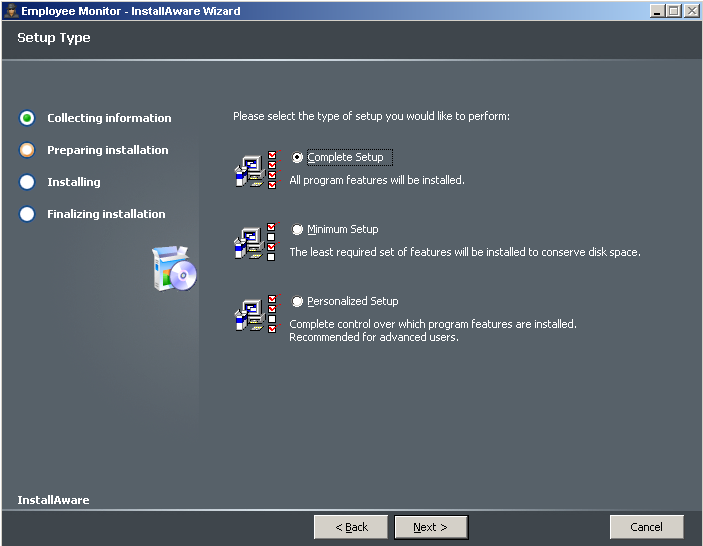 Step 10: If everything works fine, soon you will see the last installation screen. 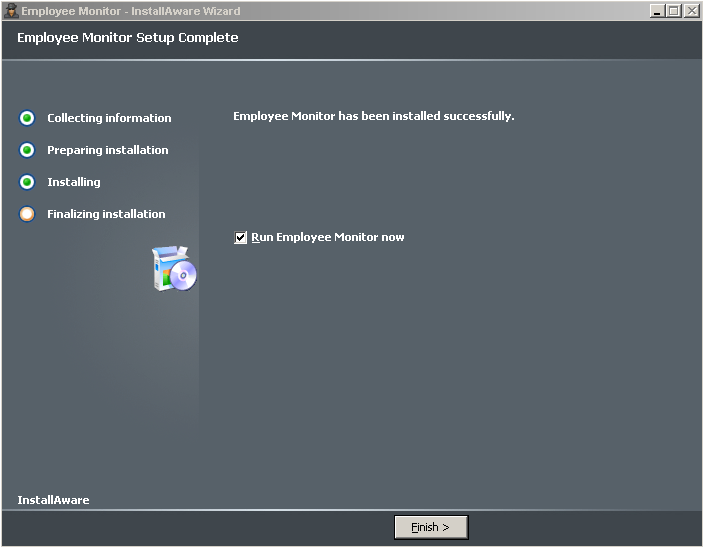 Enable “Run Employee Monitor now” checkbox, then press “Finish” button and you’re done. Congratulations!